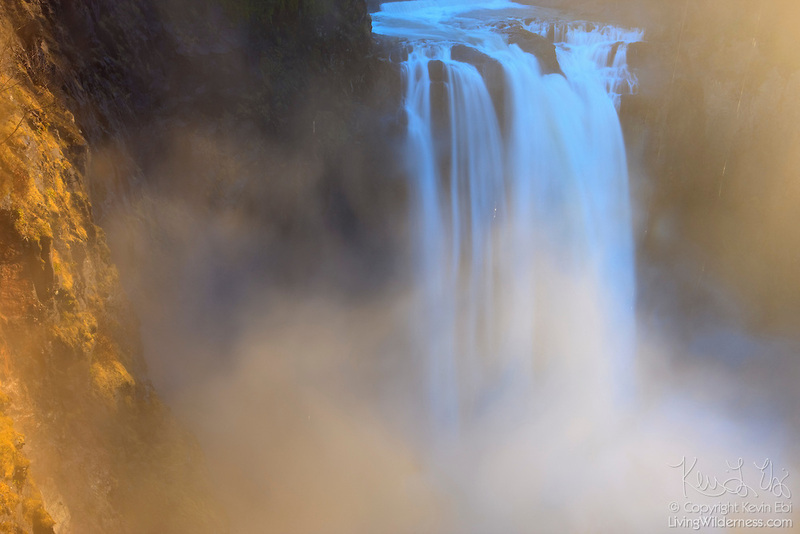 The late afternoon sun lights up the mist resulting from the force of Snoqualmie Falls, a 268-foot waterfall located near Snoqualmie, Washington. Snoqualmie Falls is one of the most popular tourist destinations in Washington state. Copyright 2009 Kevin Ebi/LivingWilderness.com. All rights reserved.